India is the biggest battleground for smartphone manufacturers. Many people are now getting their first smartphones, and numbers are always growing. Statistically, about 95% of smartphone owners buy devices which cost less than $500. That’s why many companies release budget and mid-range smartphones specifically for the Indian region. Samsung is one of the biggest ones. Their Galaxy A and Galaxy J series of smartphones have respectable popularity. According to new information, the Samsung Galaxy A7 2018 is getting a beta release of Android Pie in India. Users in the Samsung Members forums posted screenshots of the OTA notification telling them that Android Pie is now available for the Samsung Galaxy A8 2018. The device was released just a couple of months ago in September of 2018. It features the Exynos 7885 system-on-chip clocked at 2.2GHz, 4 and 6 GB of RAM options, a 6-inch FHD+ AMOLED Infinity Display at 18.5:9 ratio, and respectably small bezels. You’ll see a 3-camera system on the back and a 3,300 mAh battery. The only obvious drawback that I see is the micro USB port. It was released with Android 8.0 Oreo. As you may already know, Samsung mostly skipped the 8.1 update and decided to head straight to Android Pie. According to the OTA screenshot, the Android Pie update comes with the latest February 1st security patch. The build is 1.3GB in size and you may want to keep that in mind if you are using the limited data connection. If you want to receive the update, open the Samsung Members app on the phone, go to Notices, and look for the beta program. After the registration, you should receive the OTA update straight away. If you didn’t, you can go to Settings > Software update and tap on “Download updates manually” to fetch the OTA. 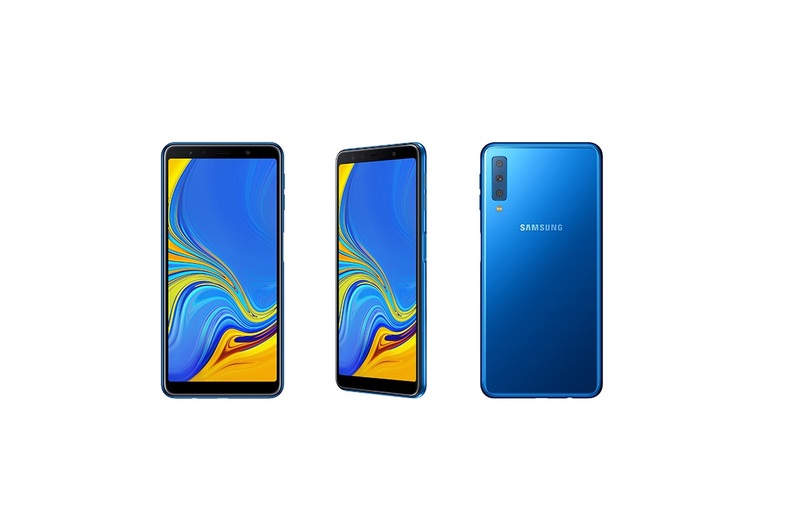 It’s worth noting that Samsung Galaxy A7 2018 is the first non-flagship smartphone from Samsung that received the Android Pie.